Mr. James Garrison was born in Liberty County on March 6, 1935 to the late Lucius and Clara Garrison. He was the last of ten children all of whom preceded him in death. He and his family moved to Pembroke, Ga., in 1940 and he later graduated from Pembroke High School in 1950. Upon graduating, he furthered his education at Savannah State College where he obtained an Associate Degree in Brick/Block Masonry. This enabled him to become a business owner at an early age and he worked as a self-employed brick mason for many years until his retirement. He also worked as a tobacco farmer and provided great employment opportunities for many of the young citizens of Pembroke to work under his leadership and earn honest wages. He was not only a gifted entrepreneur, but also a dynamic mentor and if you met him, you will always remember him. James joined Mount Moriah Baptist Church at an early age and served as a Deacon. He remained a faithful member until his health disabled his ability to independently engage in services as he desired. He was also previously affiliated with the Eastern Star Lodge #58 in Pembroke, Georgia. In 1958, James was joined in wedlock to Lula Mae Adams Garrison who later preceded him in death. In 1984, he married Mary Dell Garrison and this union brought them their daughter, LaToya. Unfortunately, Mary also preceded him in death but he remained steadfast on his journey of serving the Lord until his death at the age of 84. Family and friends visitations will be held Friday March 29, 2019 from 6-7pm in the chapel of Craig R. Tremble Funeral Home, Pembroke Chapel. 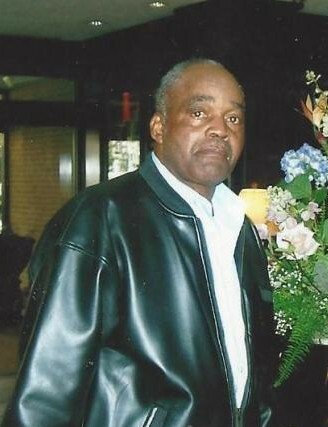 Home Going Celebration for Mr. James Garrison will be held Saturday March 30, 2019 at 11am at the Mount Moriah Baptist Church, 185 Poplar Street, Pembroke, Ga., with the Rev. Dr. Francys Johnson, Presiding/Pastor and the Rev. Willie E. Garrison, Eulogist. Interment will be held in the Stevens Grove Cemetery, Pembroke, Ga.